Rayne Vigneau has all the excellent qualities of a legendary fine wine. Classified 1st growth in the famous 1855 classification, the domain is also renowned for its precious soil that abounds in precious stones. 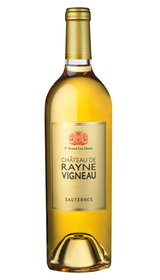 This Sauternes has a particularly intense style, fresh with a long finish on the palate. Rayne Vigneau is a wine that contains amazing freshness, to drink young or to keep in the cellar. Château de Rayne Vigneau is one of the benchmarks of this appellation. The 2013 Rayne-Vigneau, picked from September 21 until October 30 over four tries, is being blended from 28 lots and sees 40% new oak. It is still showing quite conspicuous oak on the nose, although there is clearly sufficient honeyed fruit to support it. With continued aeration, it reveals attractive but subtle almond and spice scents. 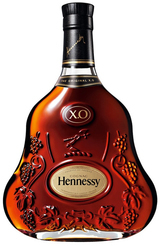 The palate is well-balanced with a lively honeyed entry. This is already very cohesive, with fine delineation, and the finish is very composed, with a saltiness lingering on the aftertaste. It is a classic Rayne-Vigneau that should give a lot of pleasure after bottling. Barrel Sample. At this point in time, the wine is unfocussed. It has weight, a complex structure and attractive acidity, but the fruit is in hiding-it is there but not yet expressive. A wine for cellaring. This is gorgeous from start to finish, with toasted macadamia nut and coconut notes, followed by a range of orchard and tropical fruit flavors, from yellow apple and white peach to mango and papaya. Totally seamless and delightfully unctuous. Best from 2018 through 2033. Tasted twice, with consistent notes. 2,750 cases made.